This research-based book by a psychoneurophysiologist offers an important examination of the effects of interconnectivity. 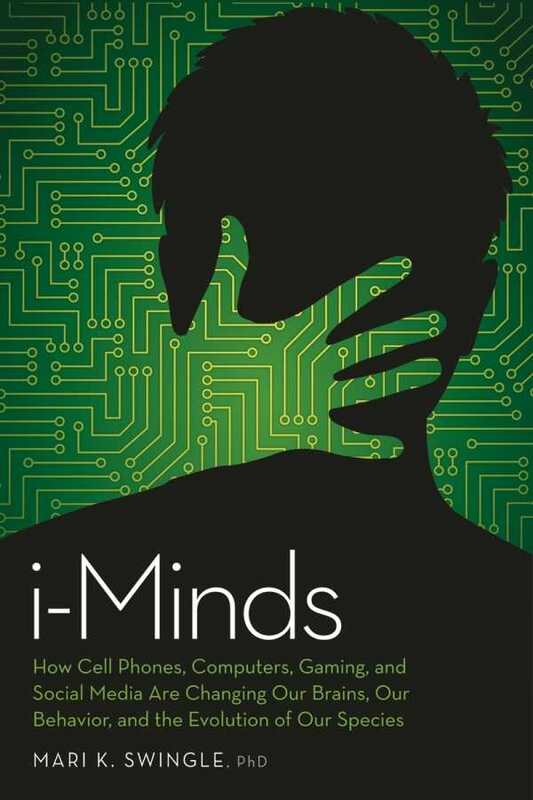 Anyone who has formed a dependency on a smartphone, tablet, or 24-hour digital connectivity would do well to read i-Minds, Mari K. Swingle’s eye-opening, and at times unsettling, book. It is both a palatable, compelling exploration of the impact of digital media on the human brain as well as an impressive piece of research. Using her own clinical observations, Swingle conclusively demonstrates that Internet addiction significantly switches brain function. The point of Swingle’s book, however, is to broaden the scope of her observations to encompass everyday users of “i-tech,” the author’s term for interactive technology, not just those who are addicted—or as she puts it, to examine those who are affected by “technological integration versus technological interference.” The author addresses the topic both biologically (what goes on in our brains) and sociologically, from childhood to adulthood. A nice touch is the addition of sections called “Scientific Corner,” in which Swingle supports the text with specific references to scientific research. Particularly fascinating is Swingle’s discussion of the generation of “i-kids” who have grown up with digital devices. She notes, for example, that some parents “use the medium as an electronic babysitter,” and that children who are entrenched in digital media from a young age may be missing out on key developmental experiences, such as live play. While Swingle makes an eloquent case for the fact that i-media is “rewiring our brains,” she remains nonjudgmental and scientifically balanced in her perspective. This approach makes i-Minds all the more essential as a contemporary study well worth reading.